Stage 17 of the Giro d’Italia was described as a transition day but it was short, fast and furious before Elia Viviani claimed his fourth stage win in Iseo. Looking ahead to three more tough days in the mountains, and the stages that will decide the race, we spoke at the start in Riva del Garda to riders and managers about the possible effect of smaller teams at this Giro. The move from nine to eight riders per team was to improve safety and reduce the chances of a strong team controlling the race, but has it worked? Brent Copeland, the general manager at Bahrain-Merida, Marco Pinotti, a coach at BMC, and Eusebio Unzué, who runs the Movistar team, all give their verdict, as does Markel Irizar, who rides for Trek-Segafredo. 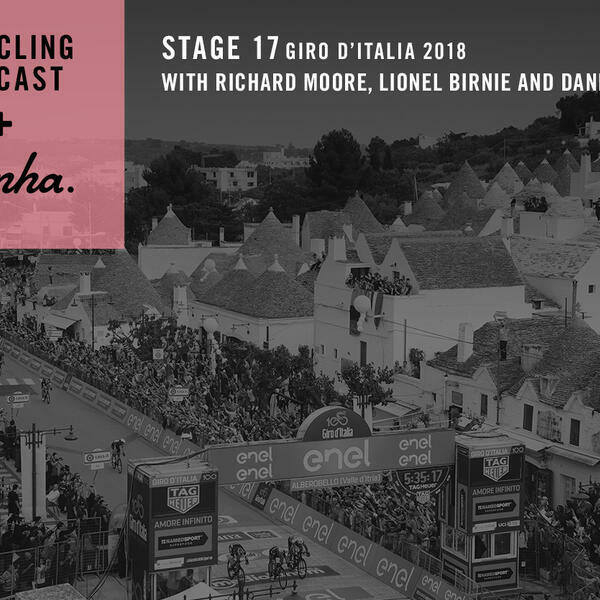 In this episode we also hear from Viviani’s director, Rik Van Slycke, and we speak to Mattia Gavazzi, once one of Italy’s great sprinting talents but whose career ended in shame after three positive tests for cocaine.